As a volunteer I have been helping research aspects of World War One that are to be included in the forthcoming Armistice: Legacy of the Great War in Norfolk exhibition and I have been drawn down all sorts of fascinating research paths. As ever when I get interested in something I research far more information than is practical to share in a limited physical space but the Norfolkinww1 blog allows me to share this in longer form. My main areas of research have been into agriculture, Conscientious Objectors and popular books and I have become fascinated by all three areas – much to my surprise with the agricultural research as I have the least green fingers around. This piece will share some of my research into books and authors publishing during World War One. Novels set (roughly) between 1910-1920 are hugely popular across all many genres still. Each year there are books considered to be literary, romances and sagas and children’s books all set in this period of time but I was more interested to see which authors were writing and publishing at this time, and what people both on the home and active front might have been reading. Wikipedia has wonderful pages dedicated to the literature of each year and I used these as my starting point. Authors that are still popular today instantly stood out for me. People like John Buchan, Arthur Conan Doyle, James Joyce, W. Somerset Maugham & D H Lawrence were all publishing between 1914 & 1919, as were the war poets still popular and studied today. 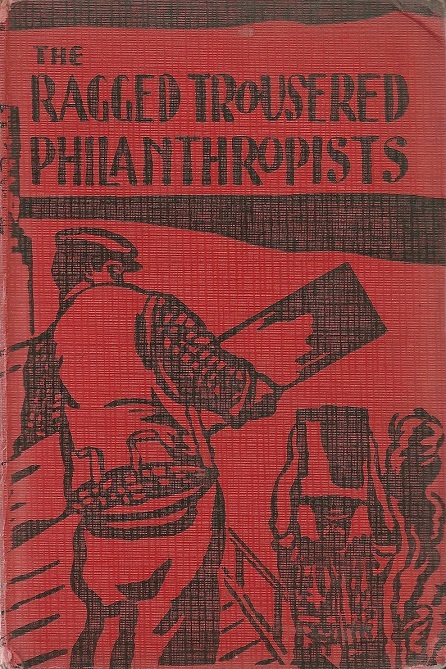 The Ragged Trousered Philanthropist – published posthumously in 1914. 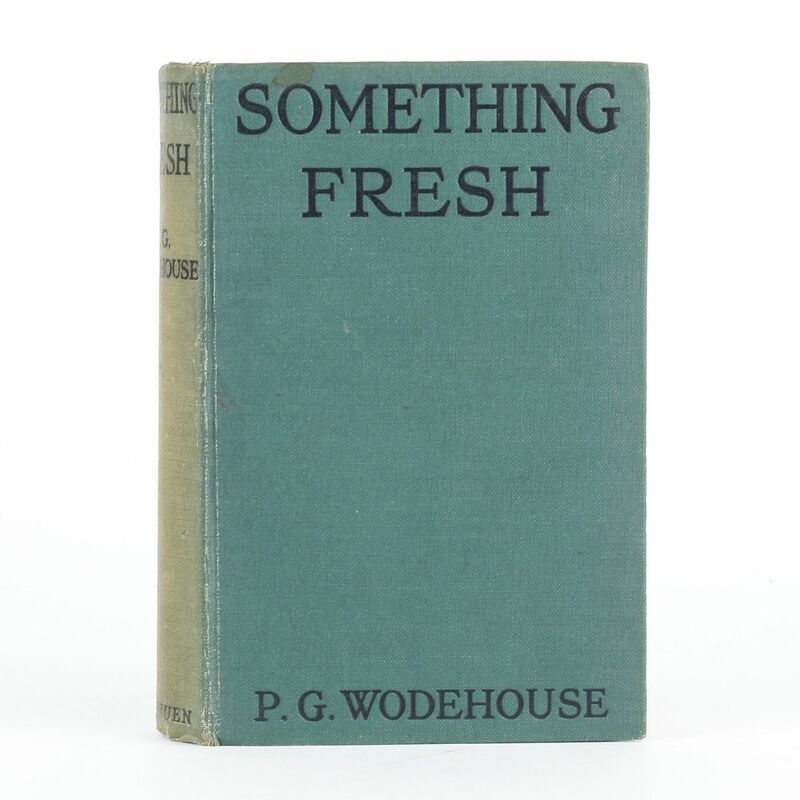 I was surprised to see how early some of the authors who are still in print today started their careers – P G Wodehouse, Dorothy L Sayers, and Kafka jumped out to me here, for some reason I thought that these were all later writers. In the field of children’s literature Beatrix Potter was publishing during WW1, as were L Frank Baum (author of the Wizard of Oz), Edgar Rice Burroughs (Tarzan) and Frances Hodgson Burnett. Other authors now better known for their children’s books – A A Milne and J M Barrie – were publishing at the time but were playwrights at this time not children’s writers. 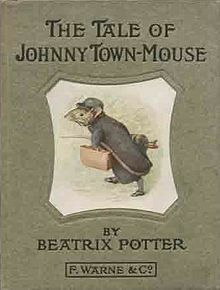 The Tale of Johnny Town Mouse was Beatrix Potter’s 21st book and published in 1918. Of course with this train of thought in mind I then started to look at the best sellers from 1914-18, and sadly I couldn’t find these lists for British publishing, however records from America collated by Publisher’s Weekly were readily available. Now I’ve worked in the book trade for 20 years, and been a keen reader since I was 4 years old but from this list of bestselling authors I can truthfully say I have only read books by two of them (Eleanor H Porter and H.G. Wells) and in addition to this I have only heard of another three (Churchill, Conrad and Grey).For interest here’s a little information about the unknown (to me) top authors excluding Winston Churchill and H.G. Wells as I feel they are likely to be recognised! Harold Bell Wright – the first American author to sell a million copies of a single novel, and the first author to make $1 million from fiction books. Booth Tarkington – was considered to be America’s greatest living author during the 1910s and 1920s and won the Pulitzer prize twice. Zane Grey – was a dentist as well as an author, and is most famous for his Westerns. He also played minor league baseball and won a scholarship to college because of his baseball talent. Vicente Blasco Ibanez – a Spanish author, this book was originally published in 1916 and translated in to English by Charlotte Brewster Jordan in 1918. Ibanez was a politician and journalist as well as an author. This entry was posted in Armistice: Legacy of the First World War in Norfolk, Armistice: Legacy of the Great War in Norfolk, Arts projects, Book, film, televsion and film reviews, research project and tagged authors, bestsellers, books, FWW, long forgotten, WW1. Bookmark the permalink. ← Following up on a recent post and call for help.